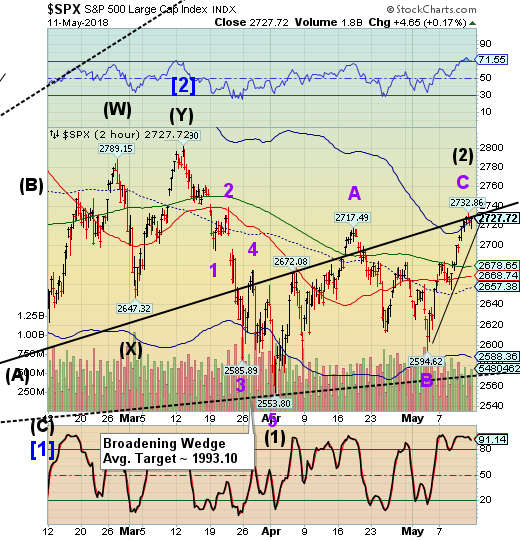 SPX futures are marginally higher. It’s hard to say whether the trendline gives way or not this morning. ZeroHedge reports, “S&P futures are higher, maintaining overnight gains as most Asian markets advance with the MSCI Asia Pacific index 0.5% higher, as sentiment was boosted by President Trump unexpected reversal on China telecom giant ZTE over the weekend when in a Sunday morning tweet, Trump vowed to get the Chinese telco back to business in a surprising policy U-turn after the company announced a halt to major operating activities following a US 7-year supply ban order. 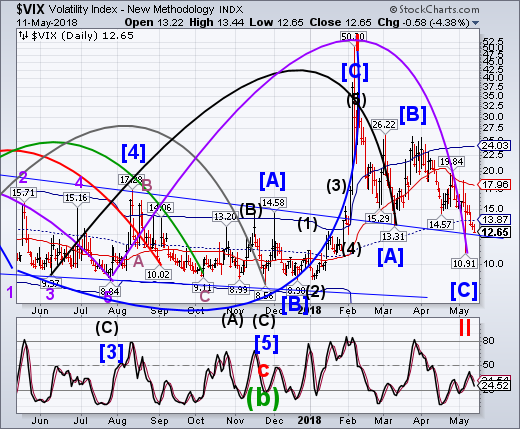 VIX futures are higher, but not above the mid-Cycle resistance at 13.87. Above that level may be considered an aggressive buy signal. 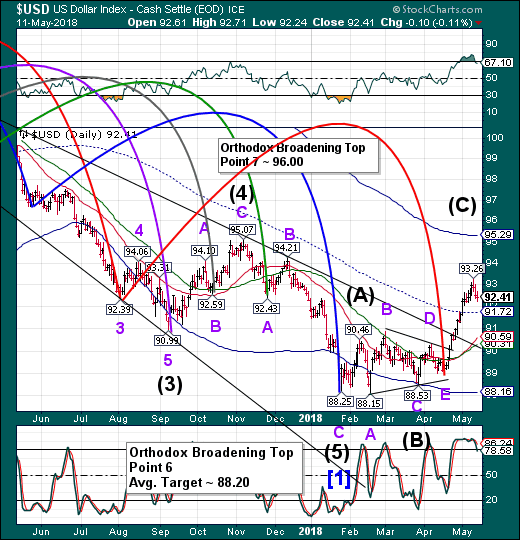 TNX is elevated, but no breakout here. 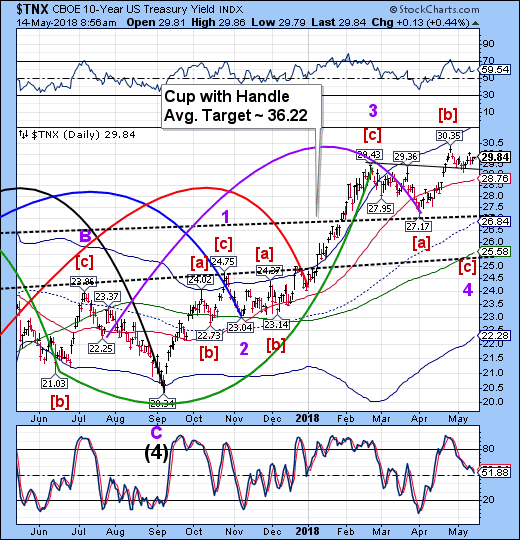 A collapse in yields is likely…. ZeroHedge observed, “A roller-coaster week for rates and the dollar did not stop large speculators adding to their already record-high short positions across the entire term structure. USD futures have made a new low this morning at 92.14 with a probable target near the mid-Cycle support at 91.72. I’m a little under the weather, but will be in touch as the market develops.